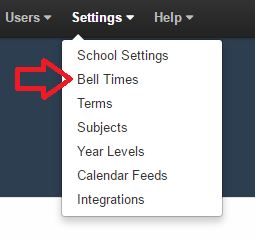 From your MyEDiary administrator dashboard click on 'Settings' and select the 'Bell Times' option. 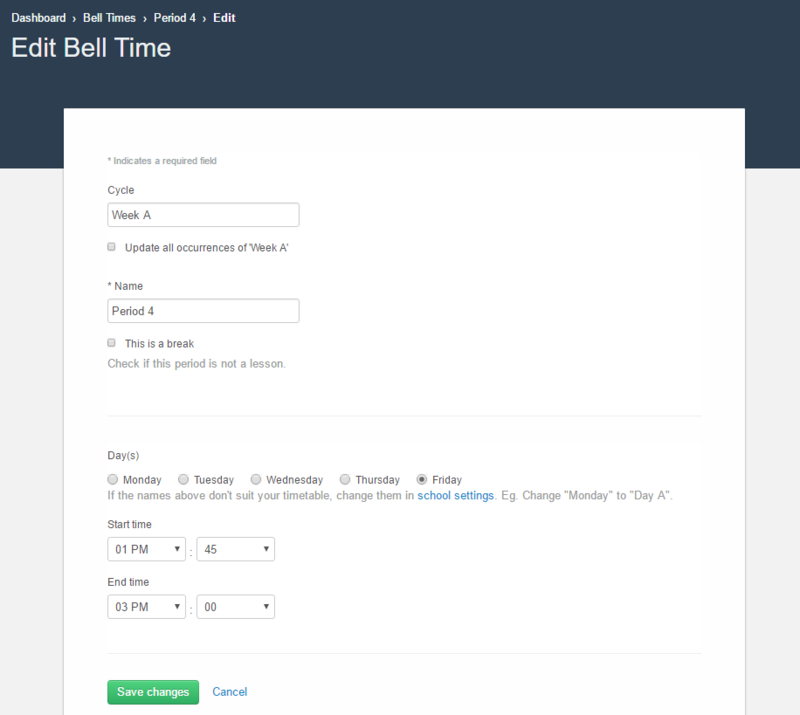 From here you can edit the current bell times listed or select 'New Bell Time' to create a new one. A popup appears which enables you to insert the cycle (e.g. Week A or Week B), name (e.g. Period 1), days and times of the new bell. Click 'Save' once you have finished entering all the details.